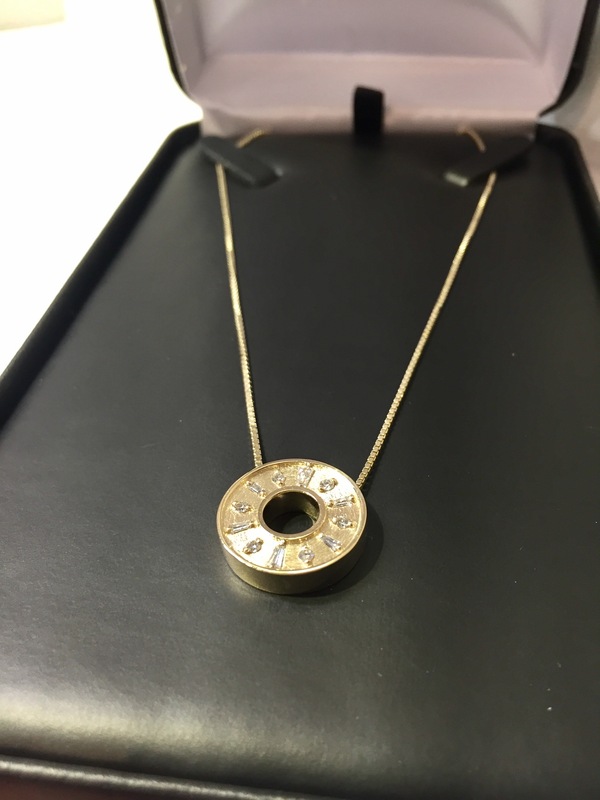 Here we have another example of Tom’s ability to take outdated jewelry and give it a fresh, new look. 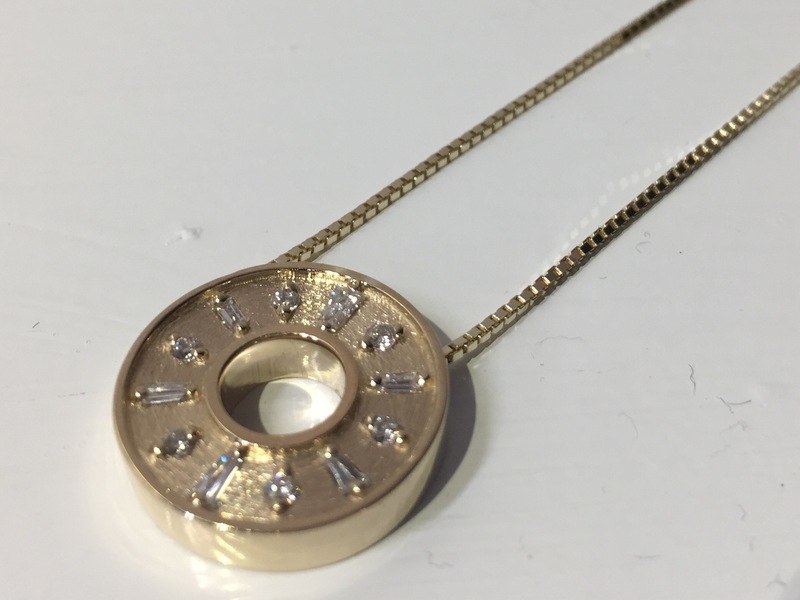 To create this piece, Tom set 12 diamonds from a customer’s old ring guard in a custom designed, 14 carat, yellow gold pendant. The result is this beauty! Unique details, like the brushed gold on the face of this pendant, set Tom’s custom work apart! 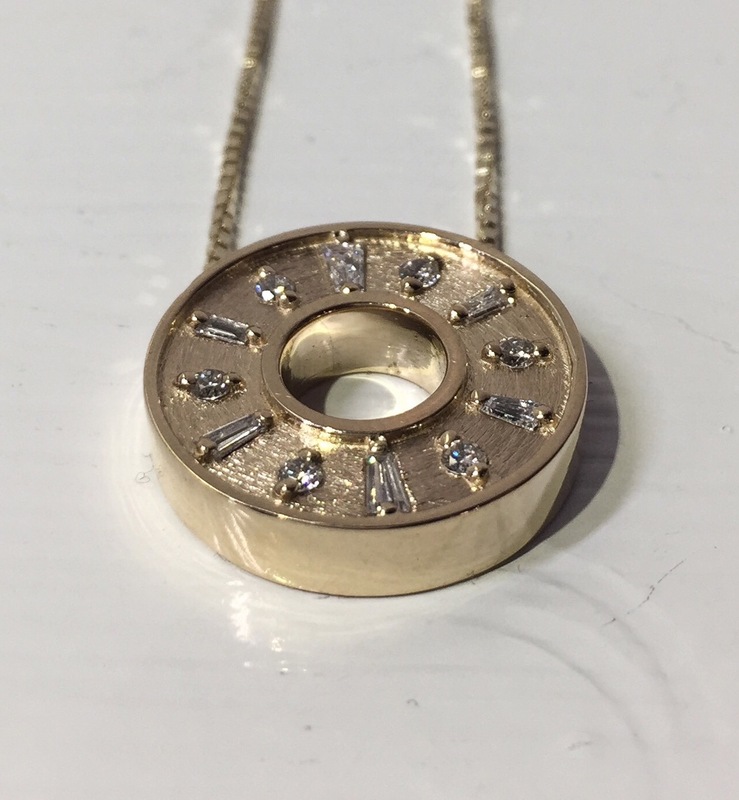 Call us at Fox Gallery (937.855.0456) to schedule a design consultation and bring new life to your old jewelry!